Now I am completely free. Vatsala Radhakeesoon is based in Mauritius and is a very engaging poet of our time. Her poems are subtle, affecting, lyrical and enlivening. She makes her write easy to ears yet digs dip to unearth the jewels and her passion always burns in the creative writing. She believes that Poetry is also like a river. It is the flow of communication from the poet’s pen to the hearts and souls of the readers. In fact in our conversations, she has opened her heart and enlightened us on the challenging path of poetry and surroundings. Gopal Lahiri: You were born in Mauritius and grew up there. Tell us about yourself? At what age did you start writing? Who/what first inspired you to begin? I was born on 17 October 1977 at Curepipe, Mauritius but I grew up and live at Rose-Hill, one of the business-centred towns of the island. I’m the youngest of a family of 4 children. My late parents were both Hindi teachers and they maintained much discipline at home. They laid much emphasis on an academic as well as spiritual education. They encouraged me to read books of all main languages taught in Mauritius since a very young age. They also gifted me books for my birthday and other special occasions. So in this way, books were my friends since childhood and I enjoyed reading. Then, I started writing poems at the age of 14. I have always been a music lover –pop songs, spiritual ones or other types. Bye-bye and his English songs I’ll always be there, Jamie’s girl and On the Outside. So, songs/music led to the penning down of my words in the form of poetry. How do you first start writing a poem? Does it come naturally to you? Deep reflections in solitude, a word, a scene, an event, a conversation or a person initially stimulate my mind to write a poem. Then I feel a strong force or source of universal energy compelling me to write and the words, lines and stanzas start to flow naturally. Who are some of your favorite poets and writers (past and/or contemporary)? Among the classics, I like T.S Eliot and Victor Hugo for their deep philosophical and realistic poems, William Blake for his simplicity of language, Emily Dickinson for her poems coming from the mysticism of solitude. Among the contemporary poets I like the works of my Mauritian poet friend Anoucheka Gangabissoon for her genuine spontaneous poems, the American poet Scott Thomas Outlar for being a natural poet (he is just himself, nothing more, nothing less) and the Indian poet /author, Sunil Sharma for his astuteness in describing daily life as it is and his remarkable sense of sensitivity and openness in his works. What does poetry mean to you, and has your idea of what it represents changed over the course of time? Where do you see it going in the future? Introverted communication involves inspiration coming to the poet’s mind. Then the right words and lines follow. For this to take place all poets need solitude. So the process of writing the poem on paper or our computer screens or tablets is the conversation between the poet and his/her own muse. This conversation occurs at a mind-level and basically takes place in aloofness or the silence of solitude. This is an inner conversation that is predominated by introvertedness. Once a poem is written the poet wishes to share it to the readers through a book or by having it published in journals, blogs or other poetry venues. The need for being published, sharing one’s words and marketing them is a means of reaching out to the world or voicing out. So the poet goes out of his cocoon an here extrovertednes predominates. Poetry has changed in forms, styles and means of reaching the readers over the course of time but the idea of what it represents basically as a means of communication or need to voice out has remained the same. Well, poetry will keep on expanding and opening up in in terms of themes and styles in future as new poets will undoubtedly emerge. I remain positive and I would say poetry has a bright future though it doesn’t sell much as prose works. Its bright future will be brought by social media and internet dues to the fact that each second or minute a new poem is posted or published on internet from someone somewhere in the world. And I think this will go on through centuries. In your last poetry collection ‘Depth of the River’ you mentioned ‘..the river-like Poetry can transform individual human beings as well as a whole society by broadening their knowledge and awareness. This in turn can lead to positive change, innovation and continuous progress in the world.’ Why ‘river’ is one of the most important motifs in your poems? The river is the most important motif because when we observe life itself, it flows. It flows from childhood to adolescence to adulthood and old age and eventually life meets momentary death. Whatever we do in life too has various stages or steps. So there is movement, flow. The river represents movement for me. Without movement, mobility no creature survives. So the river and its flow is the very essence of life. Poetry writing is like a river which flows from the poet’s inspiration to its pen on the paper or the keyboard or touch screens of the computer and tablets eventually reaching the readers. Share us your thoughts on Life and Spirituality in connection with your poems. ready to face the world as it is. You write poems in many languages. Is it a seamless movement? Tell us about your experience. Well, being born, brought up and living in Mauritius, I feel blessed to be exposed to various languages – Kreol being the native language for all Mauritians, English being the official language, French being another important language in Mauritius as it is widely spoken and used all throughout the island more than English on a daily basis and Hindi and other languages being the ancestral languages. My writing in various languages is a means to express my gratitude to my native land, Mauritius that nurtures me , shelters me by its blue sky, cheerful sun , tropical greenness and has taught me the richness of the languages through its educational system. 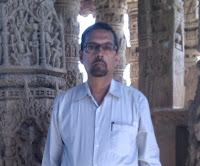 Writing in various languages exposes me to various grammar rules and literatures of the world and opens new horizons. It also helps me to understand the requirements and the essence of various languages. Yes, indeed it is a seamless movement. Do you think social media can have impact into your writing life, and if so, how? Yes indeed social media has an impact on my writing life. Social media such as Facebook consists of various literary groups, communities and movements from all around the world. 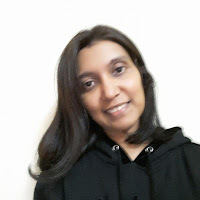 Being in Mauritius, a small and isolated island, social media enables me to connect to various writers/poets and artists of the world. This gradually helps me to exchange ideas, learn from them and collaborate with them. Thus social media also acts as a catalyst and encouragement in my writing career and gives me an opportunity to ‘go global’ .This helps me to grow as a writer as well. Do you have a writing group or community of poets there in Mauritius to share your work with? What are you reading right now? Do you read Indian poets? No we don’t really have a writing group or community of poets in Mauritius physically where writers meet up every week to share their works. Many have tried in the past but they have failed after some time. However, we have T.V and radio literary programs like Passerelles, Portraits D’Artistes and Dimanche Culture where writers can share their works to the public at large and promote reading and writing culture. Aesthetic Negotiations. And I have been mesmerized by the directness, sensitivity and openness of this great and hardworking poet of our time. Sharma’s sensitivity as reflected by his poems is genuine. It is NOT the self-centered sensitivity. So, these are striking features about this Indian poet’s work. What words of encouragement can you offer to young poets who are trying to get their work noticed? I advise them to keep writing and never stop. First submit works to literary magazines, journals or blogs. Then go on publishing their poetry books. They must never be discouraged by rejection notes as ups and downs are parts of a poet’s writing- life too. If one editor rejects their works someone else will surely accept them and value them. Keep reading poetry – both the classics and contemporary works. To be able to write properly, it is essential to be an avid/enthusiastic reader too. They must read great poets’ works but always keep their own, genuine voice in their poetry and refrain from imitating others. Each human being is unique. So as poets too they simply need to be themselves. Langston Hughes once said: “I have discovered in life that there are ways of getting almost anywhere you want to go, if you really want to go.” Where do you want to go and why? I want to keep writing poetry, short stories and try other genres. I want to go deeper into authentic spirituality and philosophy because without spirituality and philosophy life seems to be void; the balance in mind, body and soul is not reached. Are there any new projects coming up that you’re particularly excited about? I’m looking forward to having my first French poetry book published soon. Actually I’m working on it. French poetry being rich in metaphors and deep draws me to it. All poets and writers must be supportive of each other at a professional level. Cut throat competition, arrogance and jealousy among writers lead to nowhere. Hand in hand, all writers and poets united together can create a progressive poetic / writing world. And this is how written Arts will flourish and survive harmoniously.